Ava has watched her parents, Caleb and Maggie, live the perfect fairy tale, the perfect love story, played out in front of her eyes her entire life. Her family is love, life, and happiness. The Jacobsons are everything a family should be and Ava is loved and well taken care of. But the one thing that’s missing from her life is the one thing she’s waited for every day, the one thing her kind knows will make them complete, the one thing they thought was gone and lost forever. Seth has lived with the Watsons his entire life. They’re the only family he knows, but he knows that there are things they keep from him. He knows that they lie and they do unspeakable evil, things from when he was a child that he can barely remember that cling to the edges of his memory. He barely remembers his real mother and all he knows is what he’s told. He doesn’t know what to trust. He wants to believe that the Watsons love and care for him, have his best interest at heart, but isn’t so sure of that anymore when he finally—after a lifetime of waiting for her—meets his soulmate, and the Watson’s first act is to try to take her away from him. The Virtuoso worlds collide, hearts are exposed, humans are endangered, and the lives of Seth and Ava are changed forever. They’ll have to love without judgment or reservation, they’ll have to be wise and accepting beyond their years, they’ll have to forgive for things before they’ve even happened, they’ll have to trust without seeing, have faith without knowing, and they’ll have to light their own way in the dark when everyone else is blind to show them the way. And more than anything else…they’ll fight like hell to keep each other. Ever since I heard that Shelly Crane was planning to release another Significance novel centered around Caleb and Maggie's daughter, Ava, I've been anxious to have this book in my hands! As someone who has a particular interest in romantic story lines, this series never fails to deliver passionate relationships that make my heart do gushy things. I'm ready for more! Ava and Seth's story has a very "Romeo and Juliet" kind of feel (the novel even compares Ava and Seth's relationship to the classic tragedy on multiple occasions). After meeting each while making a coffee run, the two touch and discover that they are each other's significant...there's only one problem. Ava is a Jacobson and Seth is Watson-- which may not seem like a big deal except for the fact that the two families are enemies and will not be quick to accept their union. Can I say, DRAMA?!?! I worried when I first started Undeniably Chosen that I would be constantly wishing that this could have been another Maggie and Caleb book, but Ava and Seth managed to make me fall in love with them more and more as I saw them fall in love with each other. I liked the fact that their story begun with them both being a slightly older age than what Maggie and Caleb had been when they found each other (which off the bat gave their story a unique vibe despite being set in the same world). It was also great see their relationship excel at a faster rate so a focus could be put on the conflict happening within the Significant world. The last few chapters had me really intrigued to see what big changes will undoubtedly be coming in the near future, and how they will effect the status quo. Although I loved Undoubtedly Chosen because of Ava and Seth, I would be lying if I didn't say Maggie and Caleb's large presence in this book took my love for it to a whole new level. It's hard to describe how beautiful of an experience it is to follow a couple over the course of four novels and then have the chance to fast forward and see them be parents. Maggie and Caleb are still the perfect/adorable/epic couple we knew years back, but now there is a confidence to them that can only be obtained through age. Thank-you Shelly Crane for thinking of us Maggie and Caleb fans when including little peaks into their relationship and making their presence felt! I especially found it cool to see their relationship through another character's eyes-- even more so because that character was their daughter! Overall, Undeniably Chosen is the first installment in yet another stunning love story that will surely have readers everywhere waiting for their very own significant to come along! Those who've read the original books should definitely have this novel on their radar...I'm not sure when book two is coming out but I already know the date is too far away! 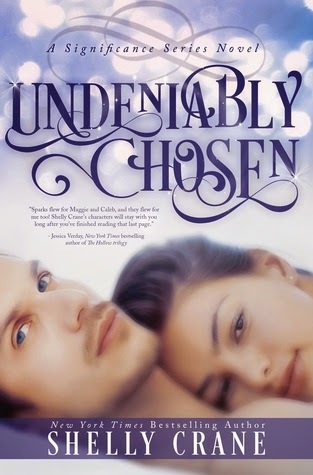 Have you read Undeniably Chosen? How do you feel about companion series? Be sure to let me know in the comments below! Keep reading! I'm not sure if my comment went through, so I am trying again. I enjoy companion series. 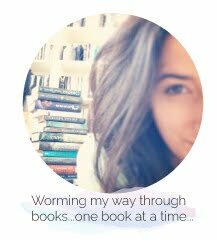 My favorite series are those with books that are standalone but complement each other.